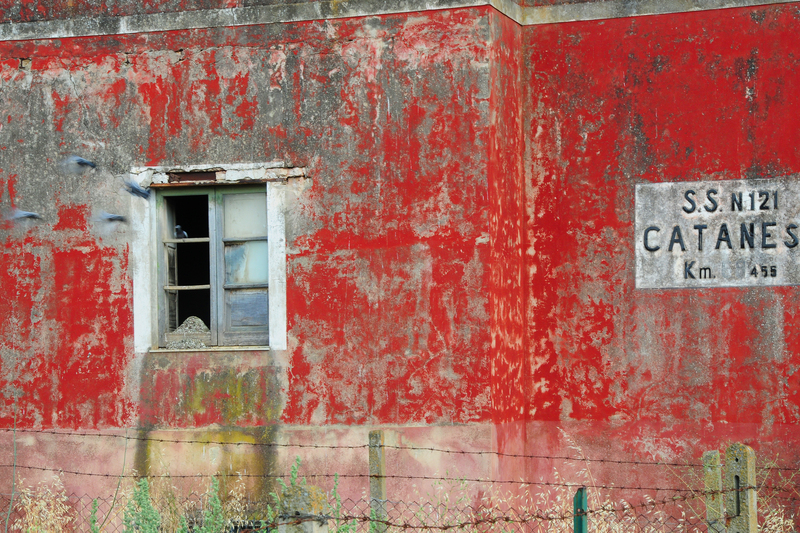 AGIRA, SICILY, ITALY: This long abandoned building is near Agira, Sicily. It’s now home to a sizeable pigeon population that calls the old building home. The building is not far from the Agira Canadian cemetery which is the only exclusively Canadian cemetery in Italy from the Second World War. Elsewhere in the country, Canadian war dead were often buried with other Commonwealth soldiers. Agira is the final resting place for all 490 Canadians killed during the Sicily campaign. Operation Husky was the code name for the invasion of Sicily. On July 10, 1943,160,000 British, Canadian, and American troops landed in southern Sicily in advance of future Allied landings on mainland Italy. The terrain in southern and central Sicily is very hilly and was mostly barren in 1943. The German defenders put up great resistance and the Canadians had it tough in their advance toward Agira. Still, today, one can see the locations of the German defences and the route Canadian troops took in their attack on the town. STE. MARIE DUMONT, WWII RE-ENACTORS: WWII re-enactors descend on Normandy in France each June. Community festivals are held. Battles on beaches are re-enacted. All kinds of military equipment is on display and on the roads. It’s been said that on these weekends, there are more jeeps in Normandy than during the D-Day landings. Swap meets are terrific places to see the re-enactors in their full gear. Most are French citizens, but many come over from England. I have even seen re-enactors from former Soviet-bloc countries participating. The small village of Ste. Marie duMont in one of the many communities in the region where celebrations are held with re-enactors out in force. Almost all take on the roles of American soldiers. Each year, at the 11th hour on the 11th day of the 11th month, we pause to remember those Canadians who died in service to their country. We’ll wear poppies or forget-me-nots. We’ll think about loved ones lost or maybe relatives we never met because they made the supreme sacrifice. Over these past almost 100 years since wearing a poppy started as a Canadian tradition, approximately 115,000 Canadians have died in war and military service: First World War, 66,665; Second World War, 46,998; Korea, 516; Peacekeeping, 121; Afghanistan, 154. As a percentage of population, in the First World War, almost 1% (.92%) of Canada’s population was lost to war. In the United States it was .13% and the United Kingdom 2.19%. In the Second World War, .40% of Canada’s population was lost to war. In the United States, .32% and the United Kingdom .94%.